In the United States, as in every country around the world, opportunities for climate leadership exist at every level of governance. So despite what the headlines may say about current inaction on climate change at the federal level, businesses, cities, and states are laying the groundwork for America’s low carbon future. 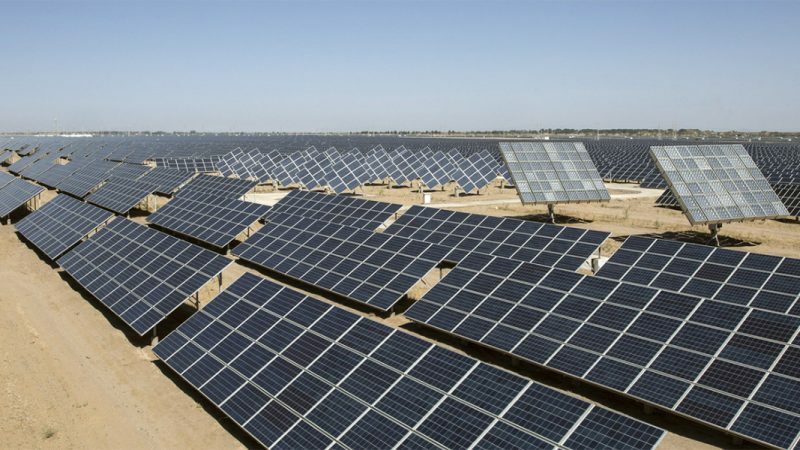 The thousands of day-to-day investment decisions made by businesses, local solutions implemented by mayors and city councils, and win-win energy and environmental policies set by state governors and legislatures are adding up. 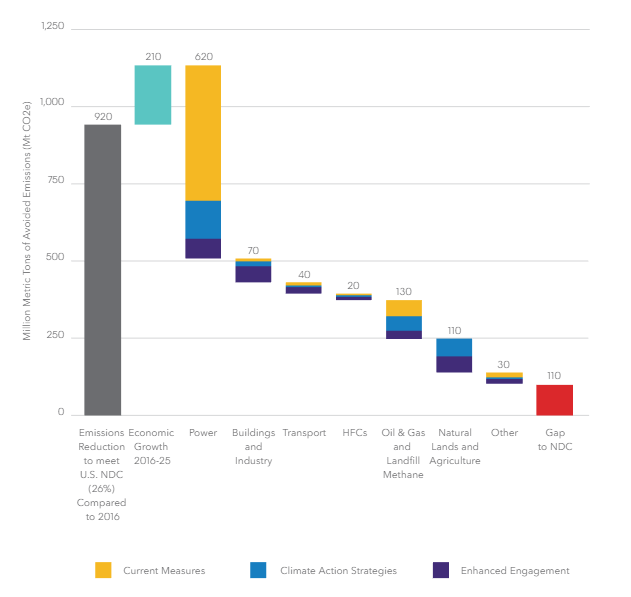 Central to this model are ten high-impact opportunities for near-term, non-federal emissions reductions. These are areas where intensified engagement by cities, states, or businesses can significantly contribute to the overall U.S. decarbonization pathway over the coming years. Executing the strategies can keep us within striking distance of the U.S. commitment under Paris and on a trajectory towards deeper emissions cuts in the future. This list of ten near-term, no-regrets “Climate Action Strategies” is unique in its sub-national focus, analytical underpinning, and backbone of expert consensus. By combing technical research and real-world expertise, it also helps update understanding of climate action opportunities in multiple areas. For example, beneficial electrification is a prime opportunity for enhanced engagement by non-federal actors in the near term. As we decarbonize electricity, it can be used as a replacement for other sources of energy with a higher greenhouse gas footprint. The U.S. electricity mix has evolved in recent years to a lower greenhouse gas intensity, low enough in many regions that it already makes sense to electrify end-uses that are directly fueled by natural gas, propane, heating oil, and gasoline. In our Fulfilling America’s Pledge analysis, Climate Action Strategy #4: electrify building energy use emphasizes the opportunity to heat our homes and businesses (and water) with electricity instead of natural gas. Likewise, Climate Action Strategy #5: accelerate electric vehicle adoption emphasizes the opportunity to power our cars and trucks with electricity instead of gasoline. 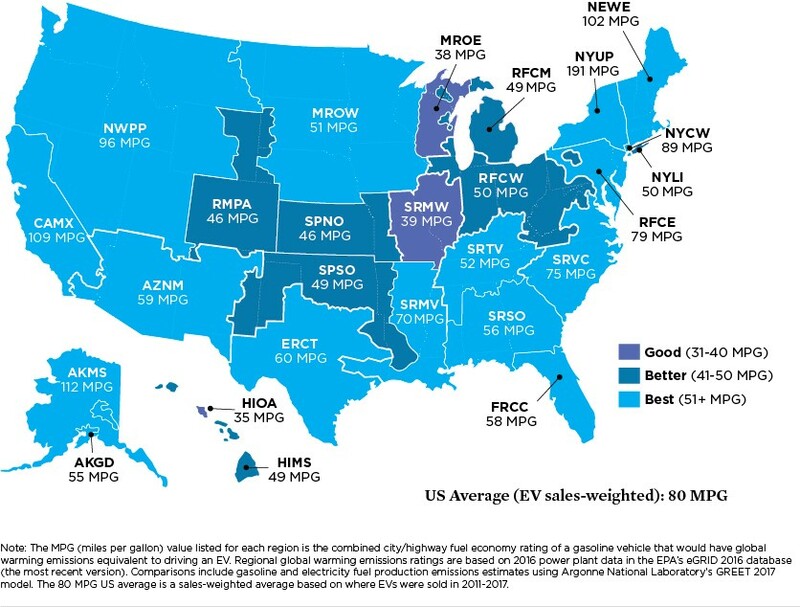 The Union of Concerned Scientists has published a map showing that seventy-five percent of Americans now live in places where driving an electric vehicle is cleaner than a 50 MPG gasoline car. Two out of ten strategies focus on methane emissions, a greenhouse gas 84 times more powerful than carbon dioxide over 20 years. Recent science has revealed that more methane is leaking from the oil and gas supply chain than we previously thought. In some places, the greenhouse gas impact of the leaking methane is equivalent to the impact of burning that methane, or natural gas, for power. Thus, we need to stop methane leaks at the wellhead (Climate Action Strategy #7) and throughout the supply chain. Some methane is even leaking behind the meter in our homes and businesses, which means we also need to reduce methane leaks in cities (Climate Action Strategy #8). For these and the other climate action strategies, the America’s Pledge initiative is building next steps based on the Fulfilling America’s Pledge report. We are mapping implementation approaches and are inviting experts from a wide range of backgrounds and institutions to join us in assessing: What’s underway What’s working? What’s not working? How can we collectively fill any gaps as soon as possible? How can we design investments and programs to significantly accelerate emissions reductions from states, cities, and businesses? And how can future federal policy help enable and accelerate such “bottom-up” action over the critical years ahead? Taking stock will help us move forward in the most effective way possible. Earlier this year at the Global Climate Action Summit in San Francisco, many U.S. leaders came forward with GHG reduction commitments, and pledged to step up their ambition, moving from commitment to action and accountability. We are working to provide those leaders with the tools they need. And as this year’s UN climate talks get started this week in Katowice, Poland, international partners are asking themselves a similar question – what are the rules we need to put in place to unleash massive emissions reductions? Over the coming weeks, this blog series will showcase each of the ten strategies identified in the America’s Pledge model and explore some of the most promising pilots and case studies for solutions already underway. Cities, states, and businesses from across the United States are taking unprecedented leadership in each area to help fulfill America’s Pledge. They are working to reduce greenhouse gas emissions, and also to create jobs, save money, and improve air quality. We hope the America’s Pledge initiative can help them go further, faster, and recruit new partners to join in the effort. Carla Frisch is a Principal at Rocky Mountain Institute, where she coordinates the America’s Pledge initiative. Carla previously worked at the U.S. Department of Energy under three different administrations, where she directed policy and analysis offices focused on climate and energy and was an author of the U.S. Midcentury Strategy and the National Climate Assessment.